Infinity Wars is the new series by Gerry Duggan, Mike Deodato and Frank Martin that will be launching three months or so after the movie that it is meant to tie in with the marketing for. That movie didn’t have a Thanos wanting to literally court Death, as in the comics. But it looks like the Infinity Wars comic will be making up for that. 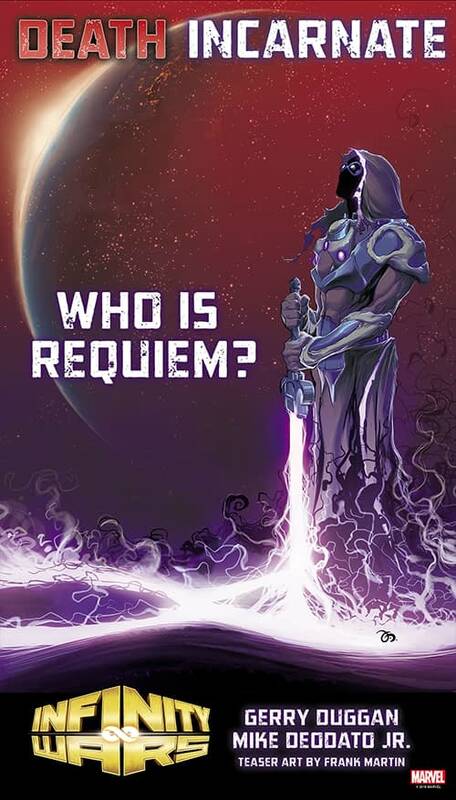 With an armoured Death called Requiem maybe? Now Requiem was one of the Lost Souls who appeared in Uncanny X-Men #382 – and then never again. But… probably not him I guess.